Whether your involved in a fender bender, or a serious car collision – a dash cam can quickly become your best friend. It also can help you capture clues that can help the authorities if your vehicle is stolen or broken into. Once, only reserved for police vehicles, dashboard cameras (or “dash cams” for short) are being installed with increasing frequency in civilian cars across America. As prices continue to decrease, and availability increases, dash cams are expected to become ubiquitous in our vehicles. Here’s some things to know if your thinking about using this emerging technology. Since then, the technology has caught on around the globe, as it’s become relatively inexpensive and easy-to-install. Also, the proliferation of internet videos showing car accidents, attempted fraud and police stops has further fueled demand. According to Market Reports World, the industry grew at about 7% from 2014-2017 – from $18.9 billion dollars to $23.2 billion dollars. Estimates value the category to be worth $32 billion by 2022. Some people even like to use these cameras to capture footage that has nothing to do with traffic and police encounters – such as capturing footage of a family vacation through the mountains. Most dashboard cameras record both audio and video from a first-person perspective in a continuous loop. Depending on the technology and features, the storage space –and thus the time of the recording loop – can vary greatly. While many cams come with a small LCD display, many users will need to access the footage on a computer to view the video. While an LCD display increases the cost, it is quite useful in framing the shot to make sure it is capturing what you want. Price: As with a lot of technology, prices for dash cams has been steadily decreasing since they came out. A decent dashboard cam starts at around $50, with higher end models costing $200 or more. No matter the cost, having a dash cam could easily save you the cost of purchase in the event of a single dispute (unless you’re responsible – that is). Memory cards – the “film” of the camera – are also becoming cheaper over time, meaning you should never run out of space for footage. There are also a number of companies that will hide the wiring of the camera for a reasonable price. Video Quality: All cameras are not created equal – and video quality is a perfect example. Resolution of a video refers to the amount of pixels – and thus detail – in the image. The higher the resolution, the better the video and the better likelihood it can be enlarged to show details, like a persons face or a license plate number. While 4k is best, 1080 “Full HD” is usually sufficient for most situations. If possible, avoid 720p or below, as the quality of the image will leave much to be desired. Next, the frames per second (fps) is the speed in which the camera shoots video. The more frames, the more likely you will be able to slow down the footage. 60 fps is great, but so long as the video is at least 30 fps – it should work fine for the intended purpose. Lastly, consider the lens field of view. The bigger the degree of the lenses, the more of the dash it will capture. Typically, a 180-degree lens is used to shoot wide angle footage. It’s also worth looking into models that have night vision support for trips after dark. Installation: Most dash cams can be easily installed without any professional help. 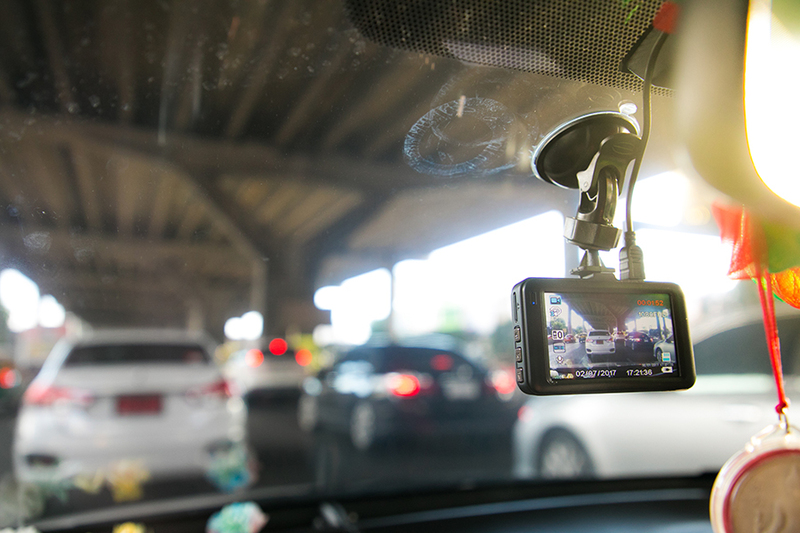 In general, dash cams mount to a windshield and plug into a 12 volt “cigarette lighter” outlet or USB port in your car. Since it’s connected to your cars battery, it will typically begin running once the car is turned out – though models with batteries will permit recording when the engine is off. Dash cams come with a ton of unique technological advancements. Here are some worth considering. Some models come with a mode that allows it to go into standby while parking, but if it detects any vibration, to immediately start recording. Some models even allow for “live view” of the feed from your cell phone or computer. Some models have applications for phones and tablets that let you access the video storage wirelessly – without having to remove the memory card. Many also allow for the transfer of video directly to a phone. As time goes on, more dash cams are appearing with driver assist functionality – including the ability to tell you if your following too closely to the car in front of you, you are driving too fast or have driven out of your lane. Further, many models use a “G Sensor” to sense when a car accident occurs and save the footage in internal memory. A dash cam can supply vital information to assist you in determining fault after a car accident. 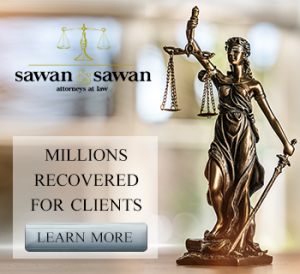 If you or a loved one have been injured in a car accident, call the family of car accident attorneys at Sawan & Sawan today by calling 1-866-INJURY-0 (ZERO) to schedule a free consultation.